The Open Tournament leaves a lot of room for improvement for Wits sides despite Lady’s side nearly going all the way. 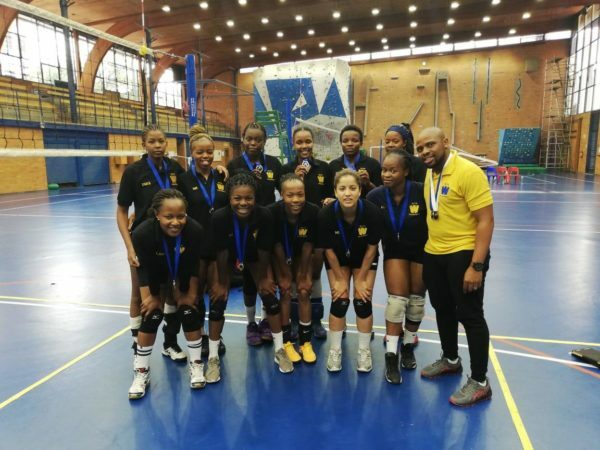 The opening tournament of the volleyball season ended in disappointment for the Wits teams with the Jaguars Ladies side losing in the final to UniJozi on Sunday, February 10 at the Old Mutual Sports Hall. 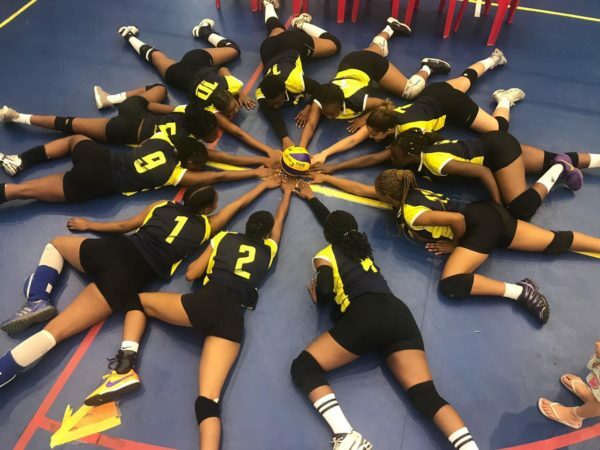 The curtain raiser for the volleyball season ran over two days, February 9 –10, with twelve teams showing up for the men’s group stages and six for the lady’s phase in what was an entertaining weekend of vicious volleyball. The Open Tournament saw Wits represented by the Wits Jaguars and Wits Titans in both groups with the lady’s sides performing better over the weekend. The lady’s groups were comprised of three teams per group with the Jaguars winning the first with a perfect record, beating Aqua Delfos 2-0 and a tightly contested 2-1 win over KMA. The Titans were less prolific, managing a 2-1 win against the Trailblazers but going down 2-0 to UniJozi, who would eventually win the tournament. The Jaguar Ladies took on the Trailblazers in Sunday’s semi-final, narrowly scraping a win in a tough encounter that saw them progress with the match ending 3-2. That set up a final with their crosstown rivals UniJozi who proved too strong for the girls from Braam, downing the Jaguars 3-0 in a one-sided encounter. Mpho Nkawana of the Jaguar Ladies told Wits Vuvuzela there was a lot to improve on if the team was to go all the way next time. “The final was a really tough game but a great experience overall. We didn’t give anything away and didn’t make it easy for them. “We expect to improve and learn from our mistakes. It was our first tournament so I think it was good,” she added. Assistant coach Lenah Satah was proud of the ladies performances despite the disappointing results. “I wouldn’t take it as a loss. The team has improved a lot and hopefully we will achieve more in the coming future,” she said. In the men’s category, neither side was strong enough to progress in their groups of 4, the Titans lost all 3 of their encounters by 2 sets to nothing against UniJozi, Johannesburg Spikers and Westons. There was a promising start for the Jaguars after they dominated the Cold 6 Pack with a 2-0 victory, however, the side was then humbled 2-0 by both Aqua Delfos and the Botswanan side Police 6. Middle blocker Craig Mazambara of the Jaguars believes the side will be on to bigger things this season despite the results and hopes to build on last year’s showing. The league is set to kick off later this month with a date yet to be finalised.